Dmytro is the CEO of Solvid. Information about consensus algorithms is hard to find, even though they form the backbone of blockchain technology. These algorithms are vital to ensuring that distributed ledgers run smoothly, and without them, a blockchain would no longer be considered decentralised. Let’s explore some of these algorithms. 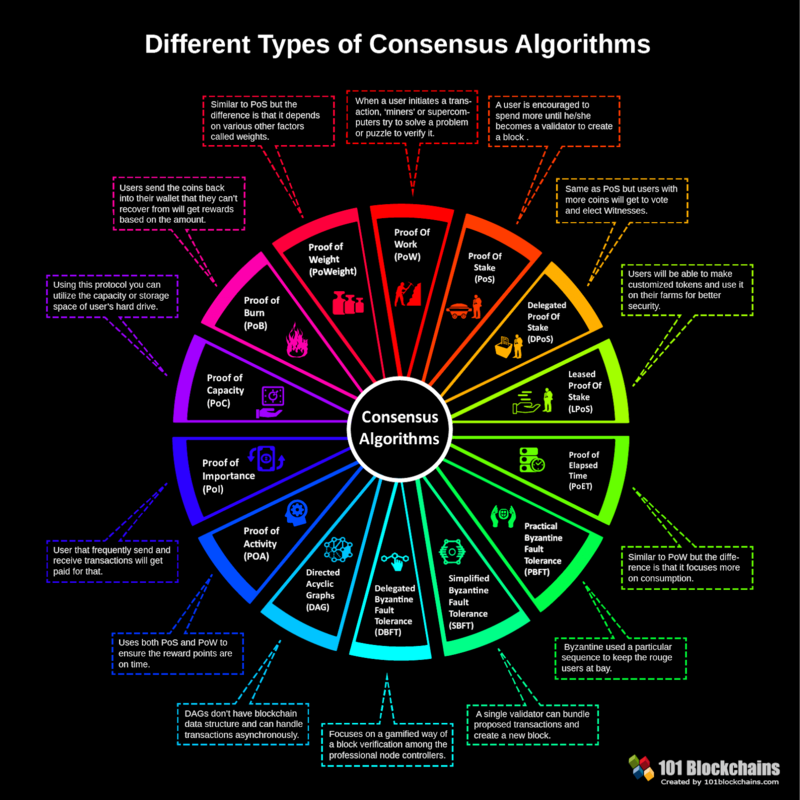 A “consensus algorithm” is the name given to the process in computer science that’s used to achieve an agreement on a single data value among distributed process systems—fitting perfectly into blockchain’s distributed ledger framework. The role consensus algorithms play in blockchain is to gain a level of reliability in a network built on a series of nodes. This means that if a transaction is set to take place, the algorithm will kick in communicating across the network in a bid to verify if the action can take place. The same process also applies to the creation of new nodes of data on a blockchain or synchronising network machines to ensure that there’s a consistency from the whole consensus. Consensus algorithms also have to be smart enough to anticipate breakdowns in communication within a network. Automatically, the algorithm will assume that some processes and systems will be unavailable and that some communication will be lost as a result. To counter this, the consensus algorithm must be fault-tolerant and work towards achieving a predesignated consensus, or approval, from the majority of machines in the network. Consensus algorithms are vital in ensuring that blockchains remain wholly decentralised. Due to the decentralised nature of blockchain, there will never be a centralised authority in place to verify and update the ledger with transactions and fresh data. As a result, the stakeholders in the network have to decide on a peer-to-peer basis as to which transactions are to be added to the blockchain. Such a process of achieving a consensus in a widely distributed ledger would be impossible if not for a smart algorithm capable of automatically communicating and verifying the new transactions with all relevant machines on the network. Without the presence of a fitting consensus algorithm, decentralised systems would have to give way to a centralised power that holds and processes data in one place—making the information it stores vulnerable to digital attacks or tampering by somebody who manages to gain access to its location. Not all blockchains are born equal, and vary greatly depending on the type of consensus algorithm they employ. Proof-of-Work (PoW): Implemented by household names of the cryptomarket like Bitcoin, Ethereum and Litecoin, the PoW approach was the first consensus algorithm to be adopted, and is widely used today. PoW is a simple construct and known to be highly resistant to cyber attacks. This approach relies wholly on the computational powers of each member of its network to solve problems and reach a consensus when determining a transaction. The fact that it requires the input of its network makes PoW very difficult to hack (any successful attack would require at least 51% of the hash rate of the entire network, for starters), but it also makes the consensus algorithm extremely wasteful on power. Some estimations suggest that Bitcoin uses 29TWh of energy per year, which equates to roughly the same amount as the yearly energy consumption of the entire nation of Morocco. As a result, many industry experts believe that, while PoW is reliable, it’s already a little long in the tooth, and the likes of Ethereum are already said to be exploring alternative measures in upholding their decentralised values, especially when you consider that the entire crypto industry can save around $36 billion a year by using a decentralised system, according to FOTON. 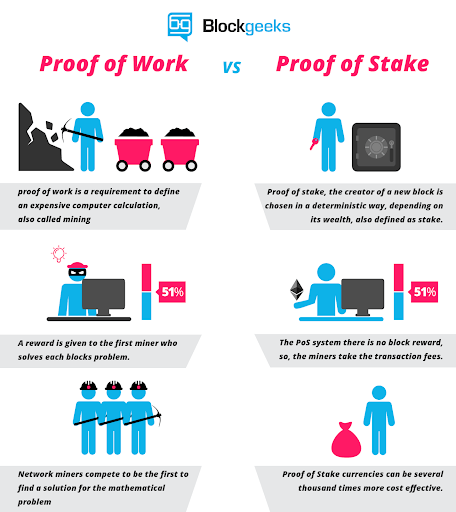 Proof-of-Stake (PoS): Regarded as the heir to the blockchain throne (by Ethereum at least), PoS acts as much more energy efficient, much more decentralised, incarnation of the consensus algorithm. The transition of crypto-giant Ethereum from PoW to PoS signified the potential that the alternative approach holds. Byzantine Fault Tolerance (BFT): Named in reference to an old mathematical conundrum, ‘The Byzantine Generals Problem.’ This approach to the consensus algorithm is based largely on mass coordination. In the conundrum, a series of Byzantine generals have surrounded a city with their respective armies—they must agree on a time of attack or retreat. If a consensus isn’t agreed by the generals then the operation would unravel into a disaster. The creators of the consensus algorithm saw a link between the issue of the Byzantine generals and that of finding a consensus within a distributed ledger. In some applications where chain cohesion is imperative, like in digital asset management platforms, the act of creating a swift communication string between networks forms the cornerstone of the blockchain used. The perks of the BFT approach is that it’s a low-cost solution that’s scalable. However, it’s still a somewhat niche approach that’s yet to win over the trust of its peers. The listed consensus algorithms may be the market leaders as far as today’s usage of blockchain is concerned, but there’s plenty of scope for organisations looking to improve on the models already in place. For example, blockchain security startup, REMME, has created a ‘Proof-of-Service’ consensus algorithm that aims to address the drawbacks of its predecessors. It’s through the use of ‘masternodes’ that the formula works—by ensuring consistency and fault tolerance, masternodes are responsible for facilitating the registration and revocation of public keys on a blockchain and overseeing the conversion of transactions into additional blocks on the chain. By utilising masternodes, the Proof-of-Service consensus algorithm maintains a tight level of security while relieving the energy burden on the rest of the network, allowing for a trustworthy and somewhat more environmentally friendly approach to blockchain than what can be seen in its predecessors. While Proof-of-Work remains the cornerstone holding up many of the most popular blockchain-based cryptocurrencies of today, Ethereum’s unease at its antiquated framework has signalled something of a gold rush among companies in finding the right consensus algorithm to drive the industry forward. Like a siege of Byzantine guards, we may be waiting for one algorithm to take control and hold itself up as the blueprint for others to follow. Solvid is a creative SEO, content marketing and web design agency based in London. Dmytro is a tech and blockchain writer based in London. He’s the CEO at Solvid and founder of Pridicto, an AI-powered web analytics startup that enables users to forecast web traffic, monitor vital metrics and set visual traffic goals. 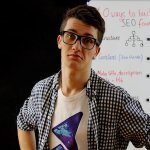 His work has been featured in various publications, including Entrepreneur.com, HuffPost, TNW, TechRadar, ReadWrite, and Bitcoin.com.